Where did the last month go?!?!?! Alas, this will be the thread for the Skip Barber National event at Road America. For those of you attending, see you soon!! Lakeville, Conn. (Jun. 27). 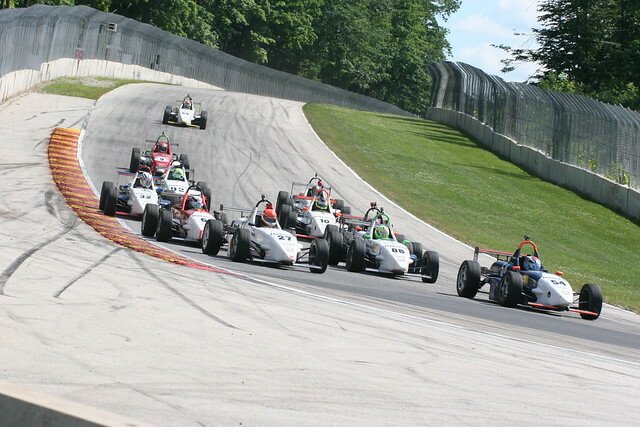 Rounds 7 and 8 of the BFGoodrich/Skip Barber National presented by Mazda will take place this week at Road America, a historic four-mile, fourteen-turn road course. With two race wins and three podiums, 22 year-old Scott Anderson currently holds a 10 point advantage over 18 year old Brandon Newey who has placed on the podium four times in the past six races. Currently the only driver to place in the top five for every race event, MAZDASPEED Motorsports Development driver Trent Hindman holds the third position in the championship standings. 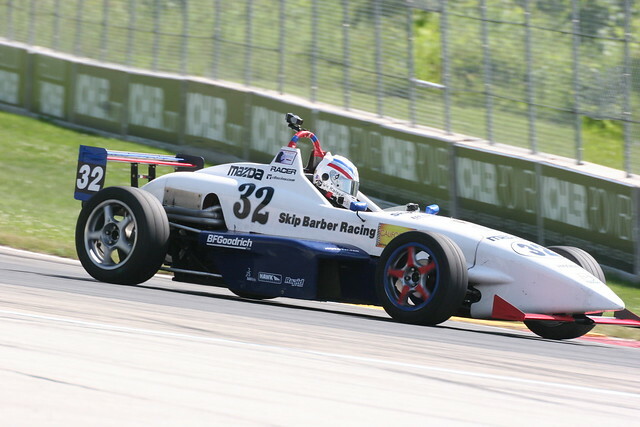 As the most recent Skip Barber National race winner, Hindman will be sure to bring with him the momentum of his first race win at Lime Rock Park last month. Known for its long straightaways, Road America provides excellent drafting opportunities, adding to the strategic element of the race events. For many of the young racers, Rounds 7 & 8 will be their first time racing at the historic track. The young National racers will be racing in conjunction with the SkipBarber Summer Formula Series and the MAZDASPEED Challenge. Session times will not be time certain, so keep up with all the action on twitter.com/skipbarbernatl.The first lapping session will take place Thursday, June 30th, and the first official practice session will be Friday, July 1st. 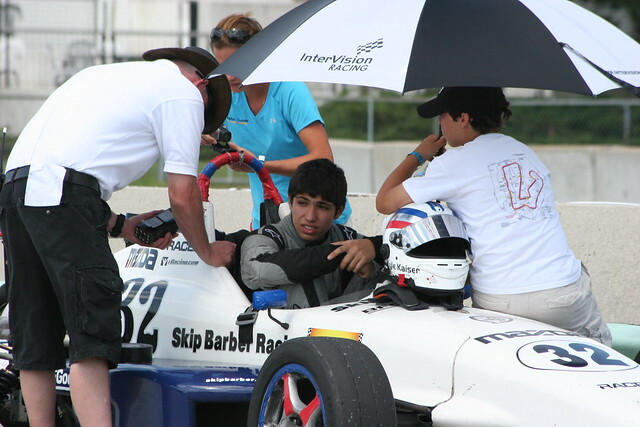 Dedicated to the development of aspiring race car drivers, the Skip Barber National is an open wheel, entry-level, equal car championship that provides the athletes with media exposure, expert coaching, on-track experience, financial awards and motorsport scholarships. The Skip Barber National is the series that launched the auto racing careers of Ryan Hunter-Reay, Marco Andretti, Scott Speed, A.J. Allmendinger, Raphael Matos and many more. The top 10 drivers in the Skip Barber National Series point standings will also receive prizes and awards to aid in the development of their motorsports careers. California Scents is a manufacturer of high quality air freshening products and has provided consumers with over 17 years of long-lasting fresh scents from exciting and eco-friendly products. California Scents products are available at major retailers throughout North America and are also available in over 65 countries around the world through authorized distributors. Some of the company’s popular brands include; California Scents, Pet Scents, Cool Scents, California Car Scents and Cool Gel. From gels, non-aerosol sprays and fiber pads to car vent clips and odor eliminators, California Scents provides a variety of products to meet any air freshening need. www.CaliforniaScents.com. Follow the action all season long on twitter.com/SkipBarberNatl and on skipbarber.com. Elkhart Lake, WI. (Jul. 1). Brandon Newey picked up his first California Scents Pole Position of the season today at Road America in the BFGoodrich/Skip Barber National presented by Mazda. Newey currently sits second in the championship and picked up an extra championship point with his pole position. Newey will lead the field to the green flag Friday morning, July 1st, for Round 7 of 16. 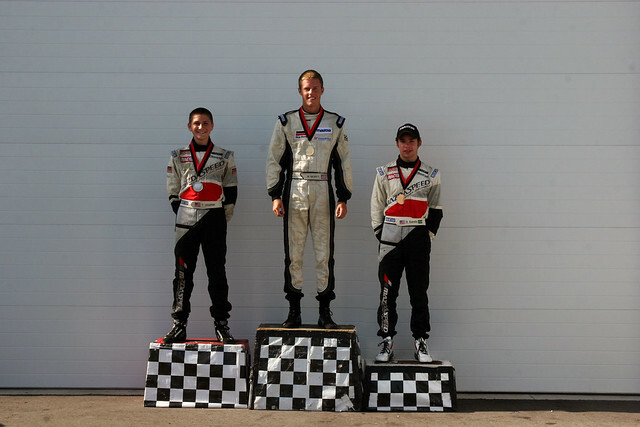 Starting in second will be MAZDASPEED Motorsports Development driver Trent Hindman, with Sebastian Ordonez in third. Results will be official pending video review. Follow the action all season long on twitter.com/SkipBarberNatl. Elkhart Lake, WI. (Jul. 2). Today sophomore racer Brandon Newey picked up his second win of the season at Road America in Round 7 of the BFGoodrich/Skip Barber National presented by Mazda. Approaching the checker flag, Newey made a last lap pass on race leader Thomas McGregor, and snatched the win by 0.084 seconds. The win marked the sixth top five finish for Newey, and the second place finish was the fifth top five finish for McGregor. 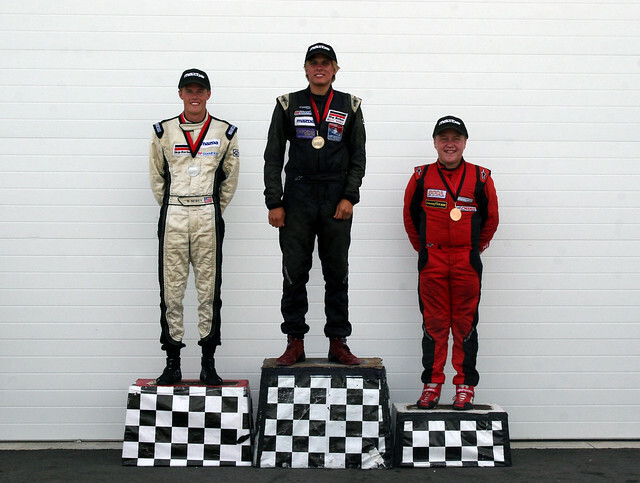 MAZDASPEED Motorsports Development Driver Trent Hindman finished third, after leading several laps of the race. The third place finish continues Hindman’s streak of finishing on the podium for every race this season. MAZDASPEED Motorsports Development driver Danilo Estrela finished fourth, marking his fourth top five finish of the season. The top four drivers raced hard, exchanging the lead numerous times during the 25 minute race, sometimes going three wide through the historic track. Tomorrow morning, the drivers compete in the second race event of the double header weekend. Sebastian Ordonez will lead the field to green for Race 2, Round 8. Elkhart Lake, WI. (Jul. 3). Scott Anderson earned his third race win of the season in Round 8 of the BFGoodrich/Skip Barber National presented by Mazda at Road America today. Anderson, Brandon Newey and Skip Barber National newcomer Zachary Silver separated themselves from the rest of the pack and traded the lead position almost every turn of the historic track. MAZDASPEED Motorsports Development Drivers Trent Hindman and Danilo Estrela worked together to gain positions and finished fourth and fifth. Full weekend wrap up with photos, points, and official results to follow after the conclusion of the weekend. Correction from Round 7 report: Trent Hindman has finished in the top five for all eight races. Here you go, guys! Diana's working on the Summer Series write up while I plug in the stats and upload the photos. That report should be up in the next day or two! Lakeville, Conn. (Jul. 6). 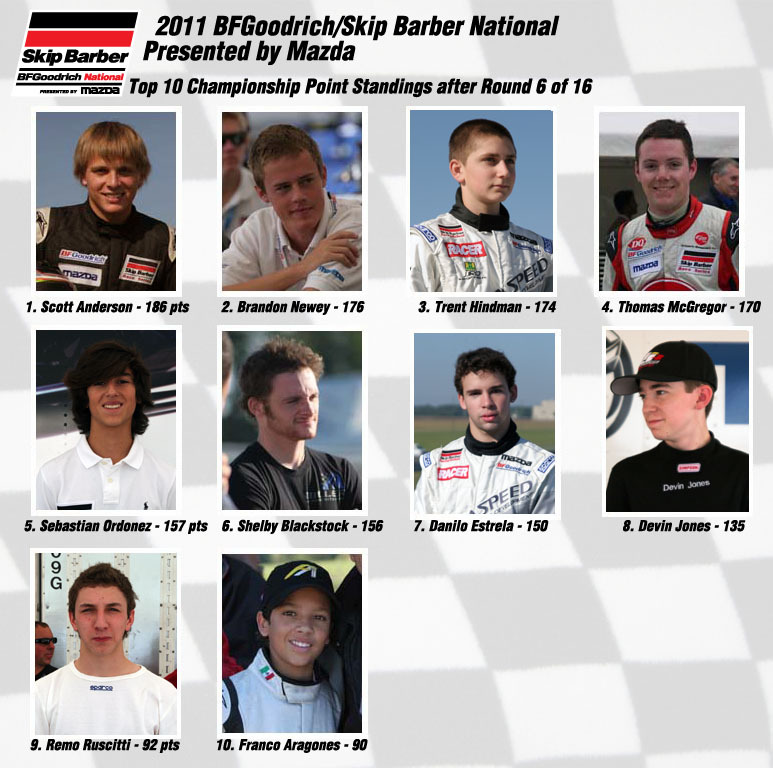 With Rounds 7 and 8 of the 2011 BFGoodrich/Skip Barber National presented by Mazda championship complete, sophomore racer Scott Anderson still holds onto the championship lead, but by a smaller margin. Clinching the win for Round 8, Anderson was able to maintain his lead, but Brandon Newey closed the championship points gap from ten points to two after last weekend’s event at Road America by adding a pole position, a race win and another podium finish to his season. Skip Barber Racing School Karting Scholarship winners and MAZDASPEED Motorsports Development drivers Trent Hindman and Danilo Estrela were the only other two drivers to place in the top five for both events, solidifying Hindman’s third place in the points, and advancing Estrela up from seventh to fifth. Estrela is only two points away from Thomas McGregor, who currently remains in fourth. California Scents polesitter Brandon Newey lead the field to the green flag for Round 7, but by turn five, moved to second as Sebastian Ordonez took the lead. The draft at Road America added another strategic element to the equal car championship, allowing drivers to work with or against each other to gain advantage on track. Thomas McGregor made good time on the first laps, impressively working his way up from starting 10th to the front of the pack. Trent Hindman and Thomas McGregor fought their way up to the front of the field, both shortly assuming the lead. At the halfway point, Ordonez reassumed the lead over Hindman and started to gain a several car length lead, with Hindman and Newey in tow. Newcomer Jack Mitchell, Jr. suffered a possible mechanical issue and was forced to retire in lap nine. Hindman led the field to the white flag with McGregor in tow. In the final corner, Newey and McGregor passed Hindman to take the first two spots on the podium, marking Newey’s second win of the season. Only 0.084 seconds separated Newey from McGregor. Danilo Estrela smoothly progressed with each lap and crossed the finish line in fourth, 0.430 seconds ahead of newcomer Kyle Kaiser. A blocking penalty on McGregor moved Hindman and Estrela each up one position to take second and third on the podium. Margin of victory: 0.029 sec. California Scents polesitter Sebastian Ordonez lead the field to green for the second time in the 2011 race season but a clean race start combined with the draft at the historic track allowed the field to stay close. By the end of the first lap, Trent Hindman passed Ordonez for the lead. By lap two, points leader Scott Anderson caught up and gained the lead with the rest of the field close behind. Laps two through ten were a constant game of musical chairs between Anderson, Brandon Newey and newcomer Zachary Silver. The three young racers exchanged the top three positions with almost every turn, and slowly worked their way away from the field. At the halfway point, Shelby Blackstock was running in ninth when a mechanical issue took him out of the event. MAZDASPEED Motorsports Development drivers Trent Hindman and Danilo Estrela found themselves fighting over the fourth and fifth positions and wisely started to work together to use the draft to catch back up to the race leaders. With one lap to go, Estrela made a pass on Hindman in turn five, but ultimately Hindman took the position as they crossed the finish line in fourth and fifth. The finish marked Hindman’s eighth top five finish in eight races. Scott Anderson took home his third win of the season with Brandon Newey only 0.021 seconds behind. 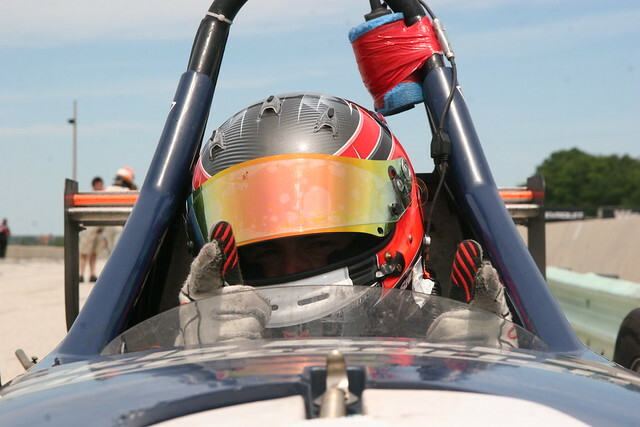 Skip Barber National newcomer Zachary Silver impressed all in attendance by not only battling upfront with the sophomore racers for the entirety of the event but also leading laps and finishing third on the podium. Officially half way through the 2011 season, the battle for the Champion title remains open. In just two weeks, July 20-23, the drivers head to Road Atlanta for Rounds 9 and 10.